We have had cooler temps lately and it's been so nice! Definitely starting to feel a bit like fall is in the air. 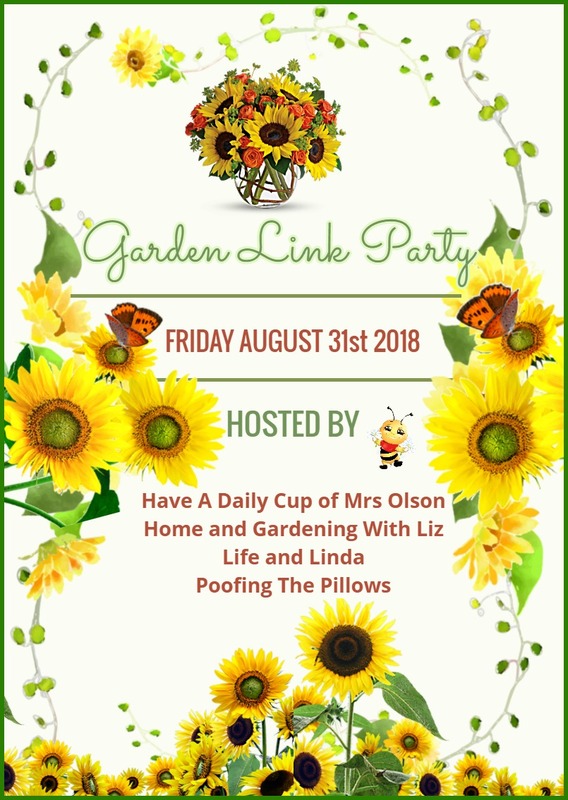 Before I show this weeks features, I want to remind you about our final Garden Party of the season. It will go live Friday at 7 a.m. MST. I hope you will come share your garden posts. Chloe from Celebrate & Decorate shared her fabulous mailbox all decked out for fall! 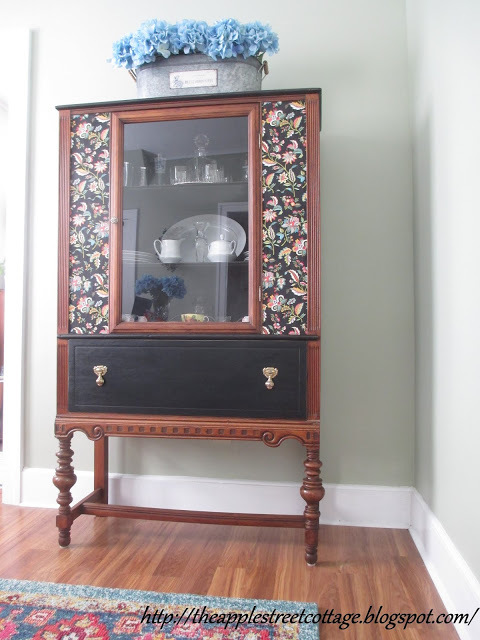 Ann from The Apple Street Cottage shared how she gave an old water damaged china cupboard new life. 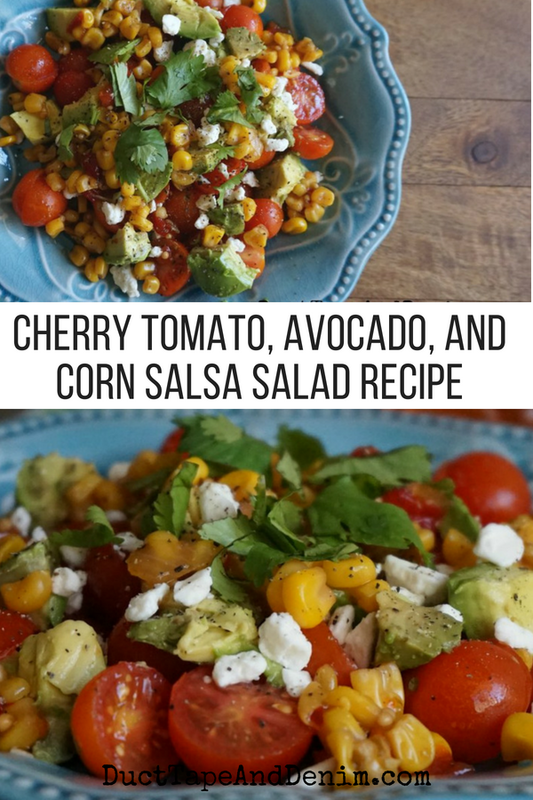 tomato, avocado, and corn salsa salad. Thanks so much for hosting, Jann! Have a beautiful weekend! Good morning Jann! 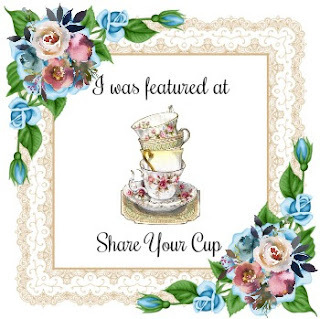 Love your geranium themed tea time! Thank you so much for the feature, Jann...and today's my birthday! Such a wonderful gift! Love joining in, Jann! Thanks for hosting. Happy linking! Thank you sweet Jann for hosting yet again this week for us. Love the garden pond, so cute ! Thank you, Jann. It's always fun to visit with you! Thanks so much for hosting and for always taking time to visit!! Good morning Jann - we have had some rain and cooler weather this week after a month of smoke from the western Canada and USA fires and above normal temperatures. The smoggy skies cleared for 2 days and we had blue sky and clouds and today's skies are pale grey. 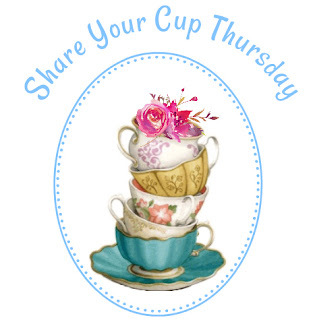 Thank you for your 304th Share your Cup today. Always a pleasure to visit and join in. Lovely features, Jann! I am so ready for fall and cooler temperatures! 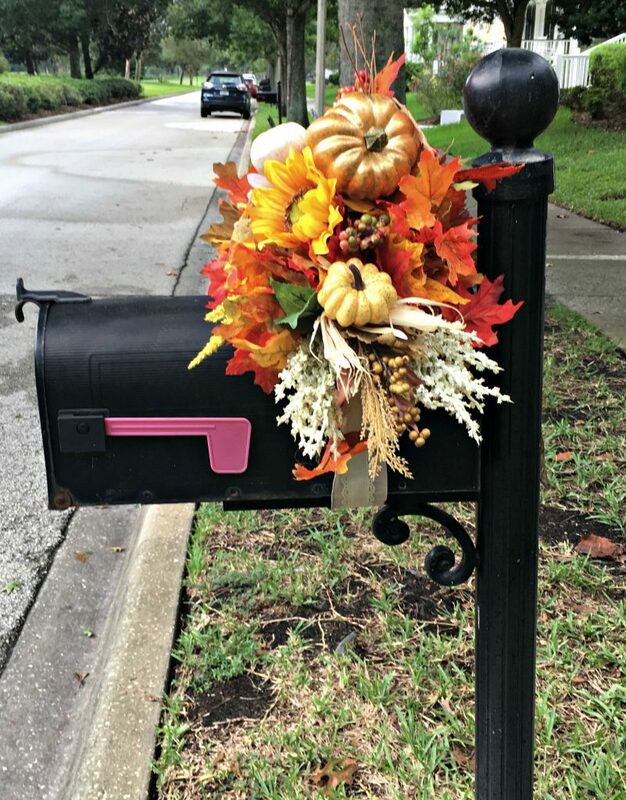 I'm already beginning to decorate for autumn. What wonderful features, Jann, and thanks for the party! 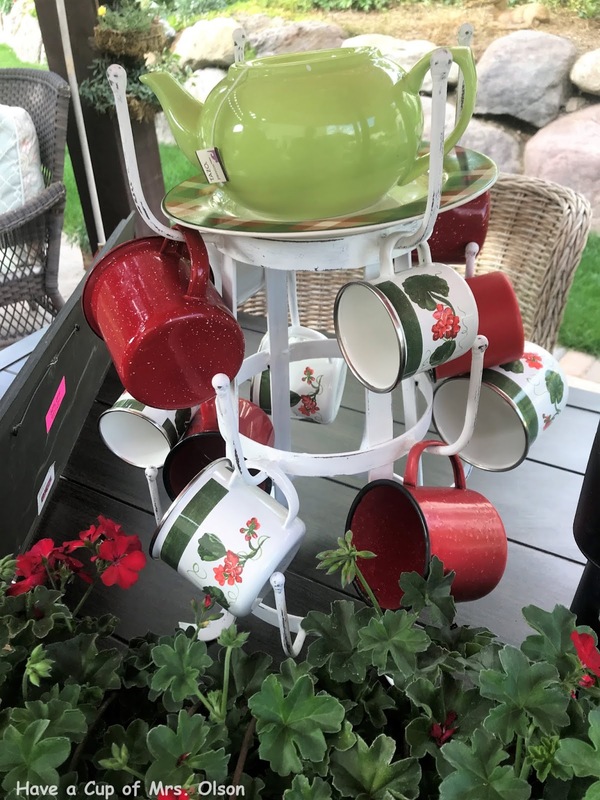 Jann, I love that green teapot! Thank you so much for hosting. Jann, such lovely finds! That pond is gorgeous! Thank you for hosting. Thank you for hosting the party. Enjoy your Labor Day weekend. As always Im happy to be here. I dont know but for some reasons your place makes me smile. The colors and ambiance is so pleasing to the eyes.Have a great weekend.